True Neutral. But I occasionally teeter towards Neutral Good. I'm between lawful evil and lawful neutral, though probably closer to evil. Crysis Wars is my archetype, where teamwork and pwning n00bs are such necessary skills. Last edited by Adsolution on Wed Feb 15, 2012 2:24 am, edited 1 time in total. Wow, I don't really know about this, but I'd say it shifts between neutral good and neutral evil depending on the situation. Last edited by El Dango on Fri Feb 17, 2012 5:15 pm, edited 1 time in total. There are tests for that, I took this one, wasn't too bad but meh. I think there's thousands of these. AKA, on Nintendo's chart, I got Snake. Not referring to the pic though. 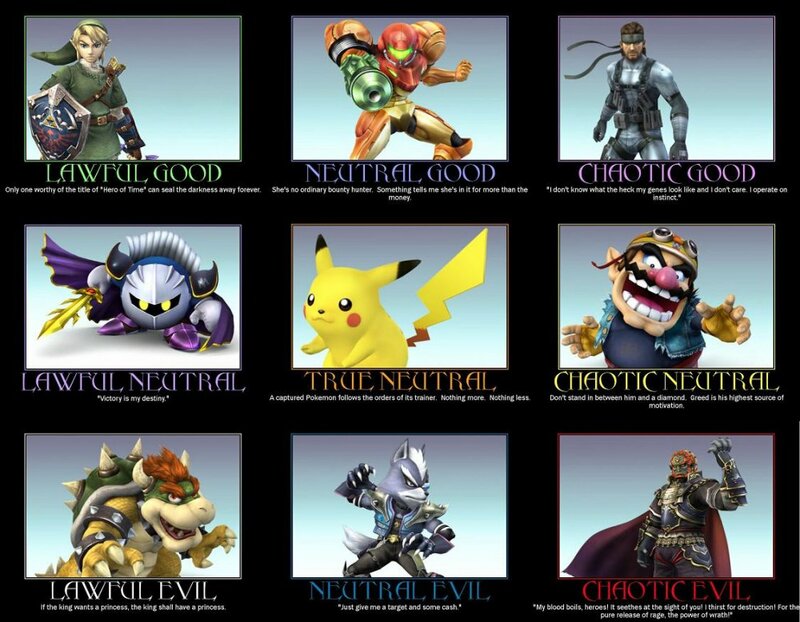 I swing between neutral and chaotic good, while sometimes I may flip over to chaotic evil just for a second. 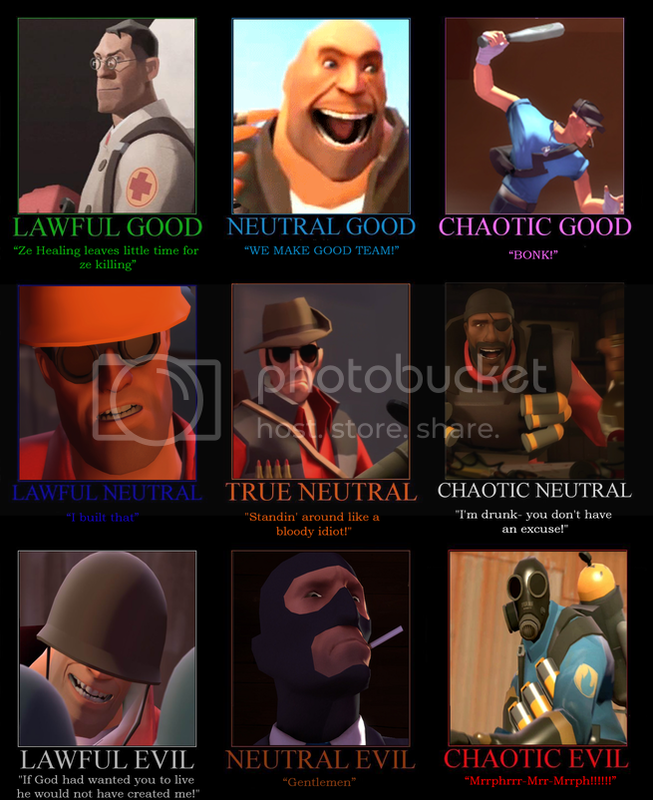 The test says I'm Lawful Neutral. Also, here's a pony chart. Altough I was pretty close to Chaotic Neutral. Hmprh. I'm going to take that test in few days again. Smega wrote: Also, here's a pony chart. That is the most useless chart I have ever seen. El Dango wrote: Nintendo chart lel. I don't really like the chart. Most likely because of the brawl chars. Not that cool to me. Also didn't like the pony chart. I'll check other charts tho. I just think of them as Nintendo characters, but alright. I tried the survey, but it was pretty weird, and way too long for me to stay interested. 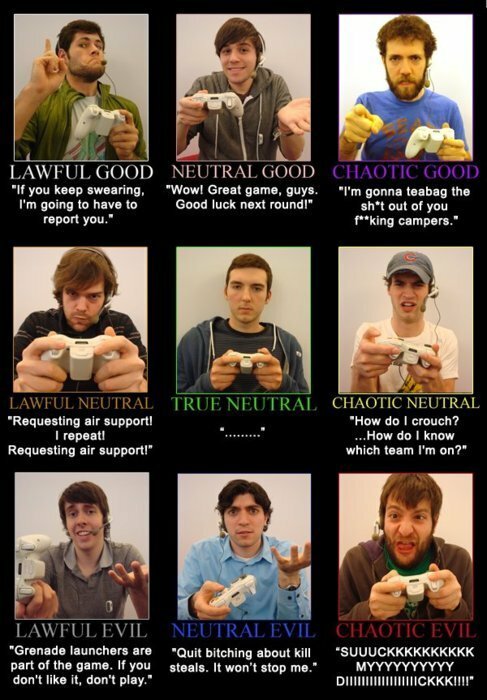 I think I'm lawful neutral.